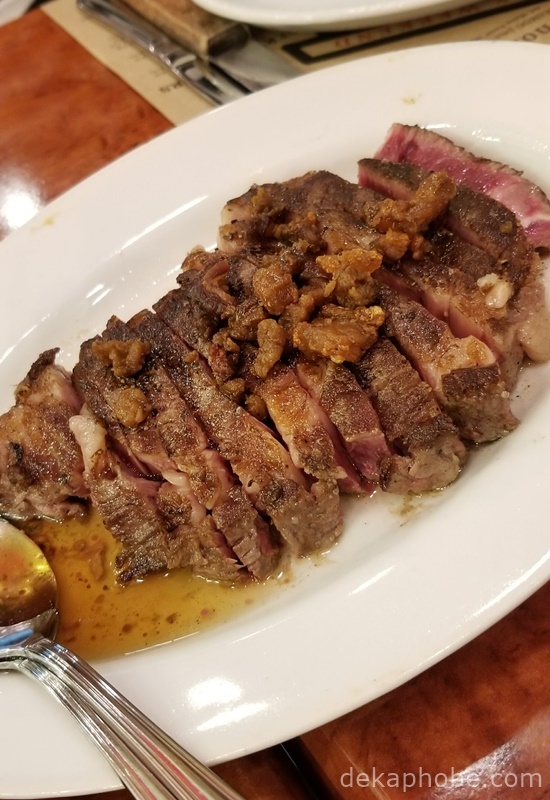 My first attempt to dine at Mamou 3.0 wasn't successful: my friend who called for reservations received a confusing text message that was supposed to ask us if we wanted to reserve for the first or second sitting for dinner. Long story short, we went to another restaurant serving ribs instead. This second attempt was a better experience, although I wasn't sure if my friends walked in or reserved for a table beforehand. We started with the famous Lorenzo's Truffle Cream Pasta (Php 395). We followed it with Grilled Salmon Steak (Php 595) and a single Angus Ribeye USDA Prime Grade Steak (Php 1990). The steak comes with two choices of sides. We had white steak rice and baked mashed potatoes for our sides. I found Lorenzo's Truffle Cream Pasta delicious but I prefer a creamier pasta with a stronger truffle flavor. 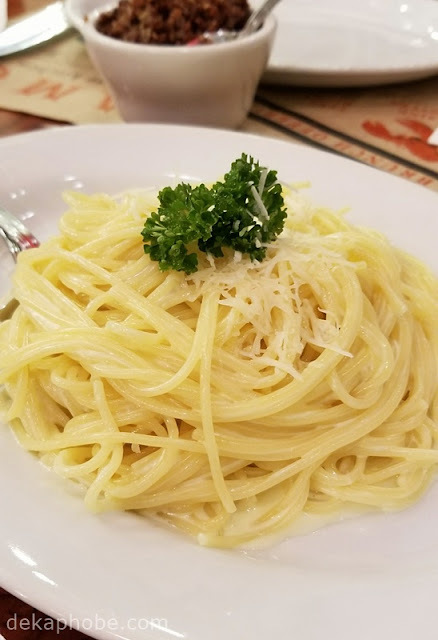 However, I love that it the pasta they use is spaghettini, because I like thin pasta. 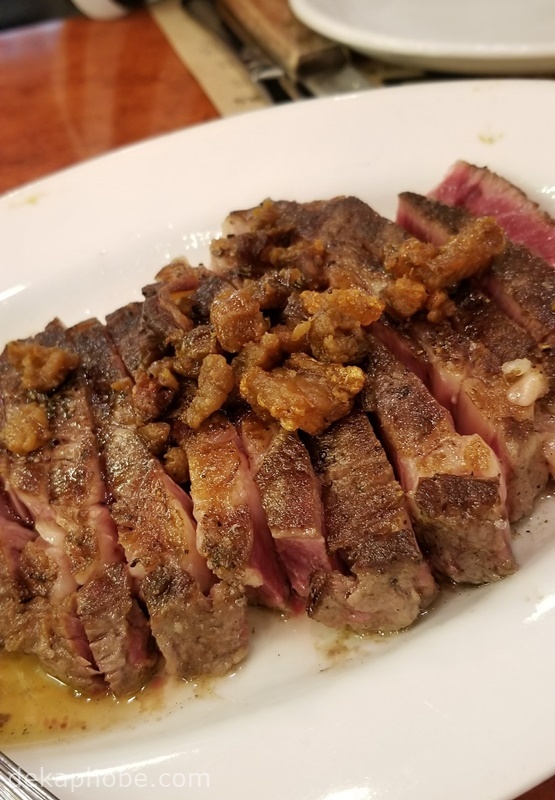 The main reason why you should visit Mamou is because of their steaks. I came to dinner with extremely high expectations and their steaks reached my expectations and more. The steak was cooked medium rare perfectly with the right amount of fat. The tenderness is amazing and with the help of a little bit more sea salt, and this steak is heaven! 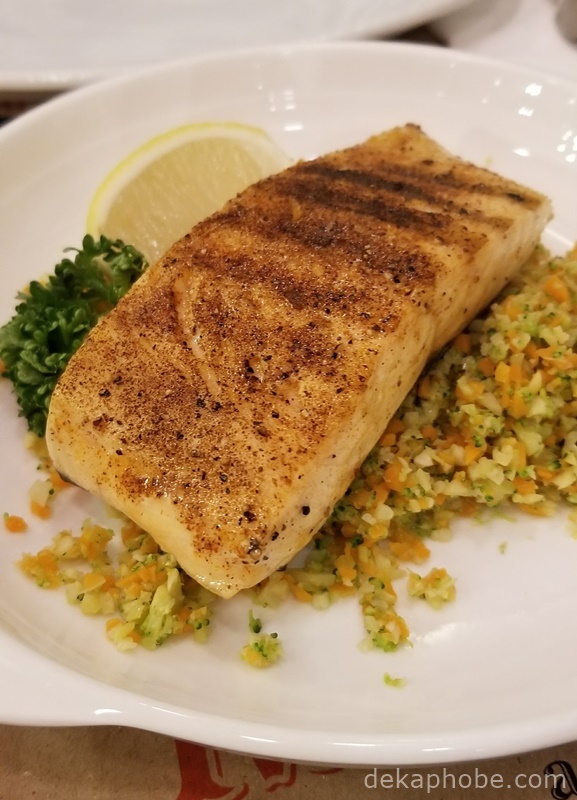 We ordered a Grilled Salmon Steak to have something light for our dinner. Served on top of veggie rice, it was flavorful and cooked well, but it wasn't as memorable as the steak. However, still a good choice if you want a healthier option. Although Mamou has to improve on their reservation process, I think that Mamou is worth the admiration of steak fanatics in Manila. The food and service are equally excellent, that there is no doubt that I will go back for more.